Almost two years ago, I wrote about the San Francisco Giants beating the Kansas City Royals in game 7 of the World Series, the annual championship series of Major League Baseball in North America. Of the 57 runs scored in that series, only two were home runs. I don't think we'll see only two home runs between the Chicago Cubs and the Cleveland Indians this year! In Game 1 of the 2016 World Series, catcher Roberto Perez hit two home runs to back up a shut-out performance by starting pitcher Corey Kluber and reliever Andrew Miller. The Indians won 6-0. In case you're wondering what baseball has got to do with dividend growth investing, I use the term home run to describe any position in my portfolio that has crossed the 100% mark in total returns. This week, 15 companies on my watch list decided to increase their dividends. A few weeks ago I started corresponding with Kanwal Sarai of Simply Investing. With more than 17 years of dividend investing experience, Kanwal has a wealth of knowledge to share. He does so through regular blog posts, a self-paced online investing course, live seminars, and a monthly subscription-based report, called the Simply Investing Report. In this article, I'll be reviewing the Simply Investing Report. Kanwal provided two monthly issues for me to review. I'll briefly describe the report contents and how Kanwal suggests using the report. As part of the subscription, subscribers get access to a spreadsheet containing data of stocks covered in the report. I used this data to compare Kanwal's valuations with my own. I find the comparison fascinating! Kanwal has graciously offered a one-year subscription to one reader of this review! If you're interested in a free subscription, be sure to read the review for details on how to qualify! Last month I started a new monthly article series in which I'll be monitoring the health of DivGro, my portfolio of dividend growth stocks. These pulse articles will be strategy focused. I'll provide updated fair value estimates and compare those estimates to current market prices. I'll also provide various charts to visualize recent performance. My goal is to help inform investment decisions. 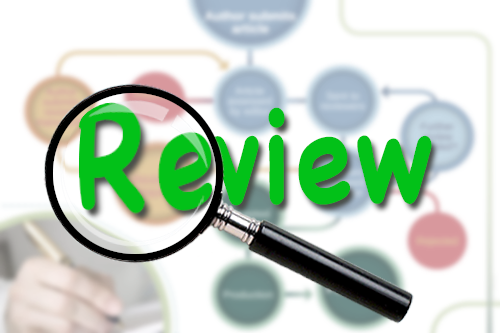 In contrast, my monthly review articles present a summary of the past month's activities along with a snapshot of DivGro's current state, including metrics such as projected annual dividend income (PADI), average yield on cost (YoC), percentage payback and projected annual yield. Companies that regularly increase their dividends show confidence in the potential growth of future earnings. In the past week, 7 companies on my watch list declared dividend increases, including 1 of the stocks I own. Quarterly reports summarize the actions I've taken during the preceding quarter. 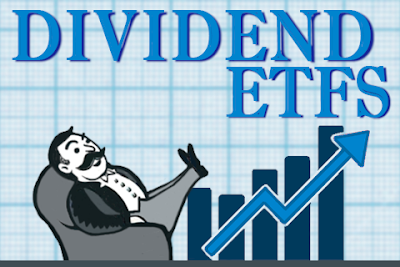 I provide a summary of dividend income, dividend adjustments, and portfolio performance. I also create charts to review the performance of individual stocks. If stocks start to perform poorly, I want to be aware of that so I can decide if any actions are warranted. In the third quarter of 2016, I worked hard to prepare DivGro for options trading. I closed several positions to raise cash so I could round out the number of shares of other positions to 100 shares or multiples of 100 shares. This process will continue into the fourth quarter, and I'm hoping to complete this preparation by year's end. Meanwhile, I've executed several options trades this quarter. While I'm reporting the total options income received in this article, most of those options are still open. This means that I have not yet secured the options income. In my monthly options update articles, I keep a running tally of the total amount received in options income, as well as the total secured so far. See my September 2016 update for the latest tally. In the past week, nine companies on my watch list announced dividend increases. Every month, I rank a selection of the CCC stocks, an invaluable source for dividend growth investors compiled by David Fish. I use different screens to trim the list of more than 750 stocks to a more manageable number of stocks. Using different screens introduces some variation. This article reveals the top 10 ranked stocks for October along with their ratings. These stocks are great candidates for further analysis. Over the past three months, I've closed no fewer than 14 positions in my DivGro portfolio. I've used some of the cash to round out the number of shares of several positions to 100 or multiples of 100. The reason is I'm implementing a strategy to boost dividend income by writing covered calls against the stocks I own. This month, I closed one more position and increased another position to 100 shares, ready for covered call trading. I also increased the number of shares of two other positions, although I'm not planning to write covered calls one those positions. The net result of my trades in September is that DivGro's projected annual dividend income (PADI) increased by about $531, reversing the downward trend of the last two months. I'm on schedule to achieve my goal of increasing PADI to $12,000 before year's end. Recently, 7 companies on my watch list declared dividend increases, including 1 of my DivGro holdings. Founded in 1916 and headquartered in Chicago, Illinois, The Boeing Company (BA) is an aerospace firm that designs, develops, manufactures, sells, services, and supports commercial jetliners, military aircraft, satellites, missile defense, human space flight, and launch systems and services worldwide. The company employs approximately 160,000 people in the United States and more than 65 countries. BA is organized into two business units: Commercial Airplanes and Defense, Space, and Security. These units are supported by Boeing Capital Corporation, Shared Services, and Boeing Engineering, Operations and Technology.